When choosing between two such amazing services like EveryPlate and Dinnerly, you need to take a good look at all the little details that may make one superior to the other. The goal of this EveryPlate VS Dinnerly comparison is to provide an objective assessment of the quality of both services based on the degree to which they satisfy all the major criteria for meal delivery comparison. View the scores they received on every criterion, take a look at their most prominent features side by side, and discover which one of them has done more to ensure your complete satisfaction. 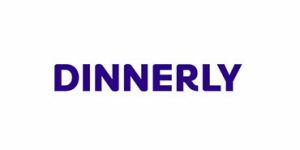 Dinnerly is the latest addition to the meal kit market, created for all those who wanted to give meal kits a try but found the usual prices to be too high. Inspired by numerous positive Dinnerly reviews, we have decided to explore the Dinnerly menu, subscriptions, and pricing and discover all the reasons for this company’s fast-growing popularity.